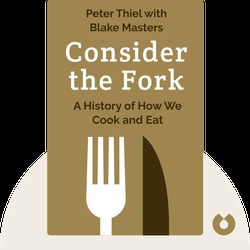 Eating and cooking have always been crucial to our survival, but over time they have also become a subject of cultural and scientific interest. 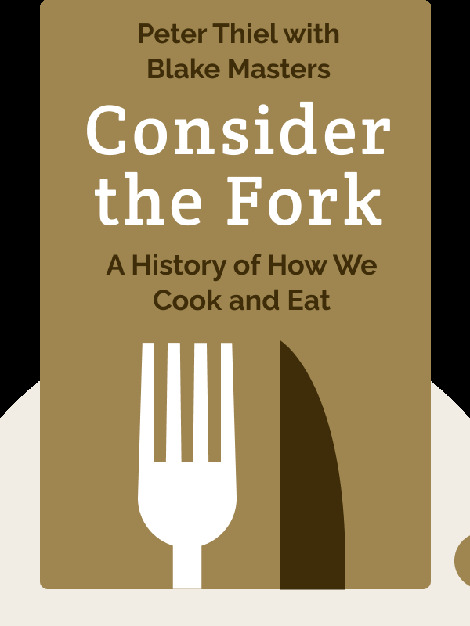 In Consider the Fork (2012), author Bee Wilson blends history, anthropology and technology to tell the fascinating story of the evolution of cooking, while also taking a closer look at the creation of cooking tools and how they have shaped our culture and eating behavior. Bee Wilson, PhD, is a British historian and food writer. Thanks to her weekly food column “The Kitchen Thinker” in the Sunday Telegraph, she was named food journalist of the year by the Guild of Food Writers in 2004, 2008 and 2009. Her other works include The Hive: The Story of the Honeybee and Us and Swindled: From Poison Sweets to Counterfeit Coffee.